How to increase brand awareness with custom mobile app development? Mobile has scored an important part in every person’s life. From youngsters to oldies, everyone uses smartphones. According to data compiled by New York-based app Locket, an average person checks the device 110 times a day. So in such a competitive sphere stands a question: How to increase brand recognition? In order to find an effective solution, many brands have discovered the need to use mobile channels to attract customers. They’ve started new operations (or scaled the existing ones) through mobile websites and mobile brand loyalty apps. Nowadays more and more celebrities create their personal apps to maintain a connection with their fans. Good idea, but how does it work? Probably the first thing which comes to your mind, when you hear about Jamie Oliver, is recipes. Just in case somebody doesn’t know who he is, Jamie Oliver is a British chef-cook and restaurant-owner and mostly known for his numerous television shows. Although many of us aren’t able to follow his show every day, so as not to lose his fans, Jamie has launched a mobile app where users can find multiple recipes without watching the shows. Moreover, to engage fans and enhance user experience he offers ‘super-tasty recipes’ every week. Another example of a brand loyalty app is The Rock Clock by Dwayne Johnson. As this application is a motivation alarm clock, you are just to enter a goal, set your morning alarm and wake up every day with a new message from Dwayne “The Rock” Johnson. Entertaining isn’t the only goal of this app, it also serves Dwayne as a new channel of fans’ engagement. First of all, mobile applications provide better personalization, which offers users information tailored to their interests, behavior within the app, location, etc. Also, mobile applications enable users to set their preferences at the very beginning, based on which users are served with customised content. Even though, personalization could assist in increasing brand recognition: people are likely to be loyal to the app, which provides them with interesting engaging content. The L’Oreal in its Makeup Genius app-enhanced reality using advanced facial mapping technology to turn a smartphone camera into a virtual mirror. It means that you are able to try on lipstick or eye-shadows in real time. The technology is about scanning your face so as to virtually apply makeup. What stands this app out of the many others is that it registers 64 facial data points and 100 facial expressions so the app identifies your lips, eyes and facial contours. This enables L’Oreal products and looks to follow your action and emotions in a natural way. In other words, if you apply a blush on cheeks and want to see how it looks from the other angle, the blush will stay exactly on your cheeks. Thus, L’Oreal created an app that kills two birds with one stone: entertains users and engages people in buying its products. Secondly, it’s much easier to send messages in apps. The email was considered to be the most used business communication tool. Nevertheless, with the appearance of mobile notifications, things have changed. There are two types of notifications: push and in-app notifications. They both are exciting alternatives for communicating with app users in a less invasive manner. Chelsea Handler, an American comedian, actress, writer, television host, and producer, found the way how to use this feature in her brand loyalty app, Gotta Go! could become your saver if you stuck somewhere. Gotta Go! generates excuses and sets them as an alarm. It’s a perfect solution for bad dates, awkward conversations with your in-laws, boring meetings and whatever else you might want to mention and share. Also, mobile apps take an advantage of utilizing features of a mobile device like a camera, contact list, GPS, accelerometer, and so on. This will help enhance user experience and make it more engaging. Such device features, when used within an app, can make the user experience interactive and fun. On the other hand, web apps also use some advantages of a smartphone such as a camera and GPS. Still, exist technological constraints in using all the multimedia features of a smartphone. Beeк brand Corona Extra released the Beach Break brand loyalty app to encourage people to get rid of Internet dependence and turn the beach from a physical place to a state of mind. In particular, for logging out, unwinding and unplugging from devices and apps users collect points and get additional ones to upload a photo of a Corona beer or check in at specific places such as stadiums, clubs, and restaurants. This points could be exchanged for branded gear and bonuses like spa or golf trip. When making custom mobile app development, implement the ability to work offline in the product. Probably this is the most crucial difference between the web and mobile app. 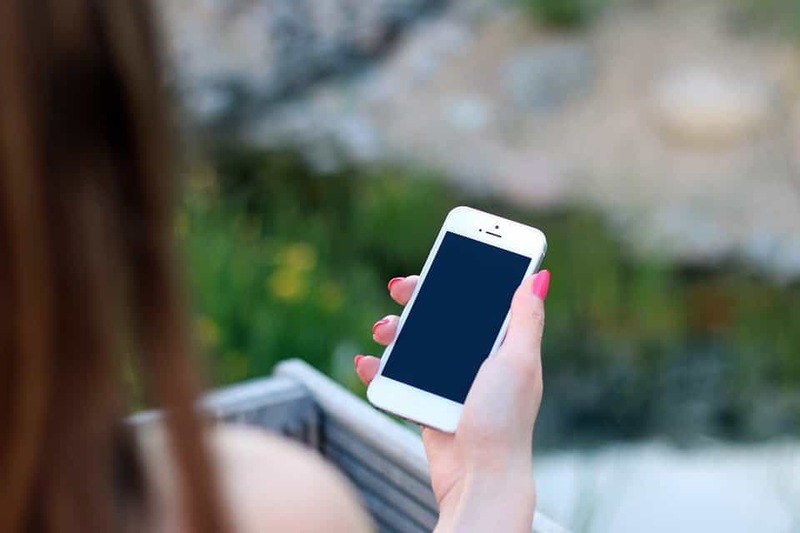 Although mobile apps also need an internet connectivity to perform most of their functions, still they offer some basic content and features to users in offline mode. Even though, there are mobile websites, which can work without an internet connection but offer limited functionality. Pop Secret’s Perfect Pop app serves as a great example of work in offline mode. This brand loyalty app indicates the precise moment to take your popcorn out of the microwave listening to the pops coming from (it/microwave). An actor and filmmaker Tom Hanks released a mobile app too. However, Tom decided to delight audience with a typewriter application. “With Hanx Writer, you’ll hear the rhythm of your work with SHOOK SHOOK or FITT-FITT” – Tom Hanx. No longer must you surrender modern luxuries, like the DELETE key, to enjoy the look, feel, and sound of good, old-fashioned word-processing. Each document created in Hanx Writer can be emailed and printed, and it also has its own unique statement-making personality. Creating a mobile app you are not to rely on a lot of browsers to perform even most elementary functions. For instance, web apps depend on browser features like ‘back button’, ‘refresh button’, and ‘address bar’ to work in an appropriate way. You can implement a lot of cool features during custom mobile app development. For example, a mobile app can be designed with a lot of fancy functions, based on advanced gestures as ‘tap’, ‘swipe’, ‘drag’, ‘pinch’, ‘hold’, and more. For example, using a ‘swipe’ an app can let users move to the next or previous step. If you want to discover this function and have fun, we would suggest you try Snoop Lion’s Snoopify from Snoop Dogg. You need just to take a picture or choose one from your photo library. Then a user chooses some stickers from the collection, scales them, and edits photos. Afterwards, users can share them with friends. It goes without saying that a mobile app could be used as a way of keeping fans connected with all the latest updates and monetization of the brand. Following this idea, Taylor Swift released a brand loyalty app, simply called Taylor Swift, which features news, music, photos, videos and so on. Moreover, using it you can buy any song you liked or even album. Regarding all mentioned points, the main goal of the branded app is a brand presence in lives of its customers. Even when users don’t use a mobile app, the icon of the app acts as a reminder and mini-advertisement of the brand. This year we developed an emoji sticker app for a celebrity. The app includes 96 high-quality stickers with tonnes of accessories to drag onto her face for all occasions, so as her fans could create their own customised stickers while messaging back and forth. In the long run, remember that a mobile app is to conclude two main goals: be useful and interesting enough for people to download it, and to encourage them to use it again and again. To put it another way, an app that’s downloaded and used only once won’t bring any good to your brand.